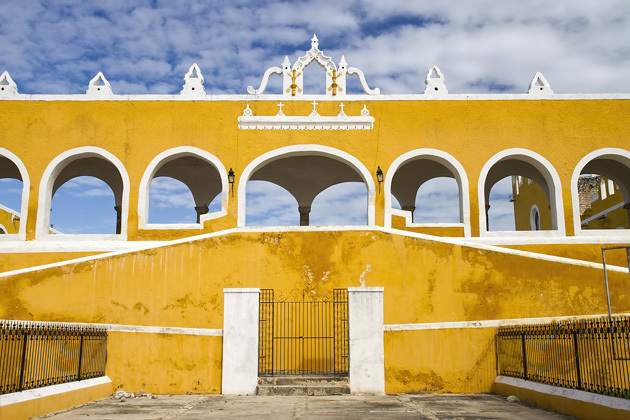 On the way home to Mérida from Izamal, we swung by the small village and archaeological site of Aké. Requiring a long drive off the main highway, it’s a town which feels forgotten by the march of time. 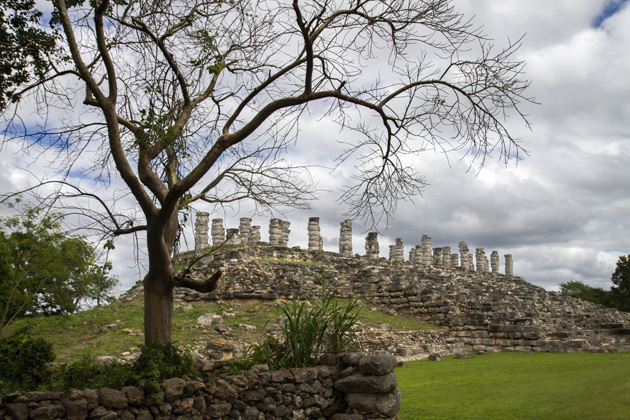 The ruins are not the most impressive that we saw during our time in the Yucatán, but are found so far off the beaten path that visiting them is quite fun. The site was completely empty, as I would venture is usually the case, and we had the run of it. We climbed to the top of the main structure, the Edificio de las Palastras, and walked along the walls which form the perimeter, all alone under the heavy sun. Before leaving, we noticed a path leading into the jungle, and followed this for a couple hundred meters to yet another set of ruins. At the top, two deep caves were hollowed out into the rock. Alone in the woods and standing atop an ancient ruin which must have served as a dwelling for Maya holy men, it was hard not to feel the rush of adventure. Next to the site is an old henequen factory, which we assumed had long been abandoned. But on our way out, we could hear the hum of machines emanating from within. Peering through the window, we saw that the old machinery of this factory was still in operation. Apparently, it’s possible to tour the plant, although this is something we unfortunately didn’t have time to do. The Ruins of Aké On the way home to Mérida from Izamal, we swung by the small village and archaeological site of Aké. Requiring a long drive off the main highway, it's a town which feels forgotten by the march of time.